Every year since 2013, I make my knowledge and skill available in helping people who want to learn blogging. Blogging for me started in 2009 when I was seeking answers to grow my small business, since then I have not looked back. I boldly say that Blogging is my retirement benefit and I truly mean it! Blogging has opened doors unimaginable for me! I have decided to host a few passionate and skilled persons in the first BLOG SMART hangout in Abuja this year, to share and learn from them. It is a FREE entry hangout and it promises to get participants on the right part to getting fulfilled working a blog either full time or part time. It will hold on Saturday afternoon, on February 4th, 2017. 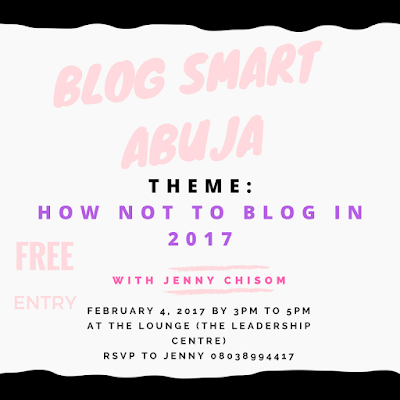 Let's Blog Smart as we learn " How Not To BLOG in 2017"! 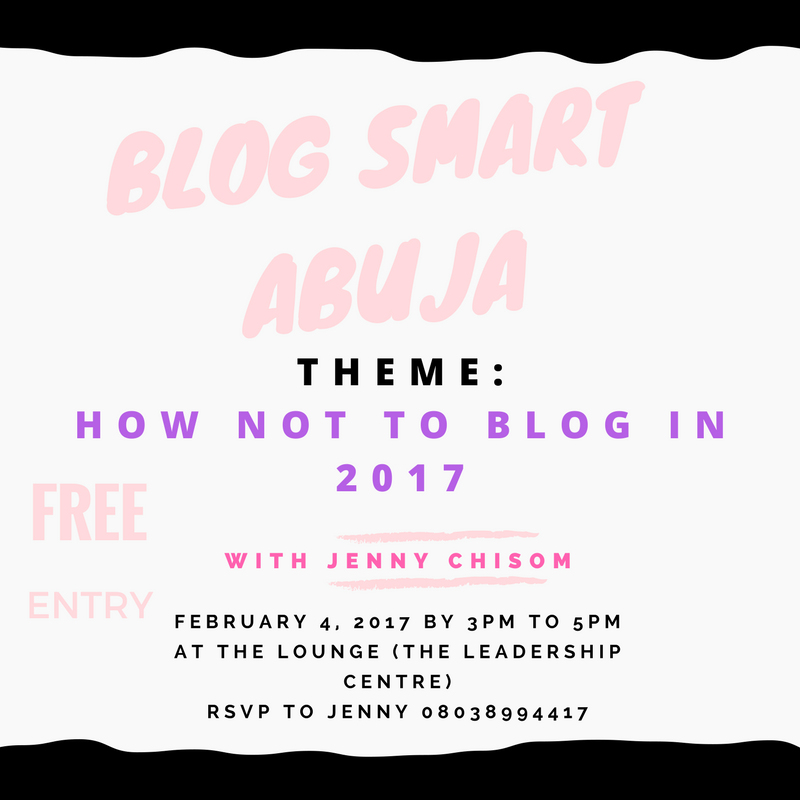 To also be part of the Blogging Courses/workshops as a Beginner blogger or Already-blogger, CLICK HERE to register for the courses available both online and live from February 24, 2017.